t-shirt | I Get Dressed In The Morning! We don’t celebrate Valentines in our household (boo! hiss! something about Boyfriend not needing an excuse to lavish me with attention! ), but I know a lot of people love this Hallmark holiday (myself secretly included). 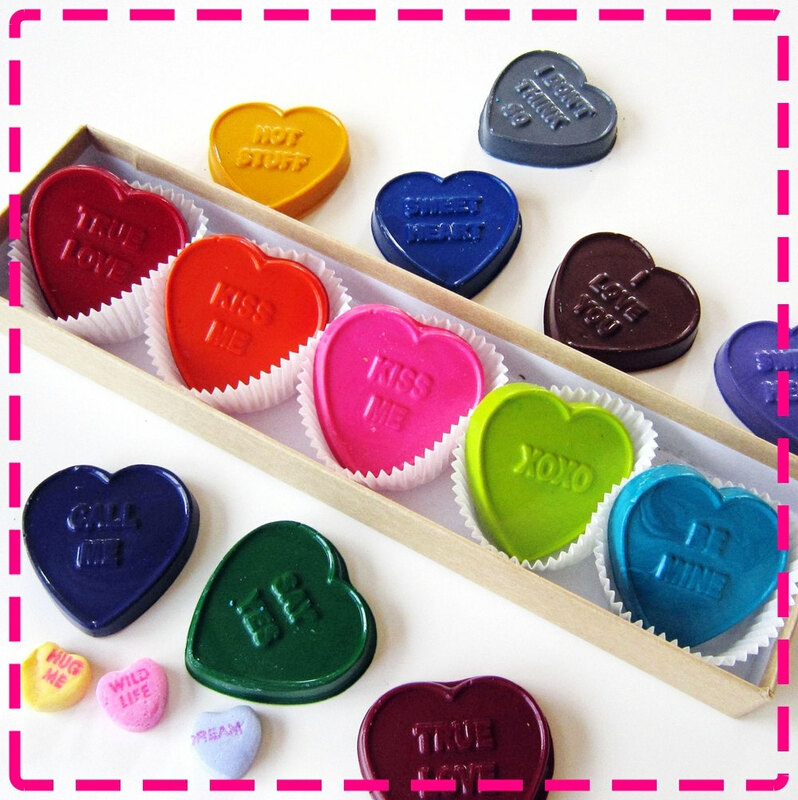 Here I have picked out some cute valentines alternatives… because any kawaii lover would be disappointed by a bunch of flowers and some chocolate. 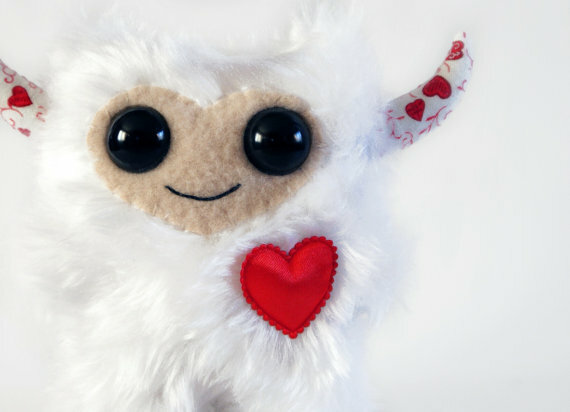 Grumble Cave Monsters create and sell super cute furry pals for you to squish and cuddle! They are UK based, so the shipping won’t be ridiculous, and at £25 this piece of adorableness is very reasonably priced! 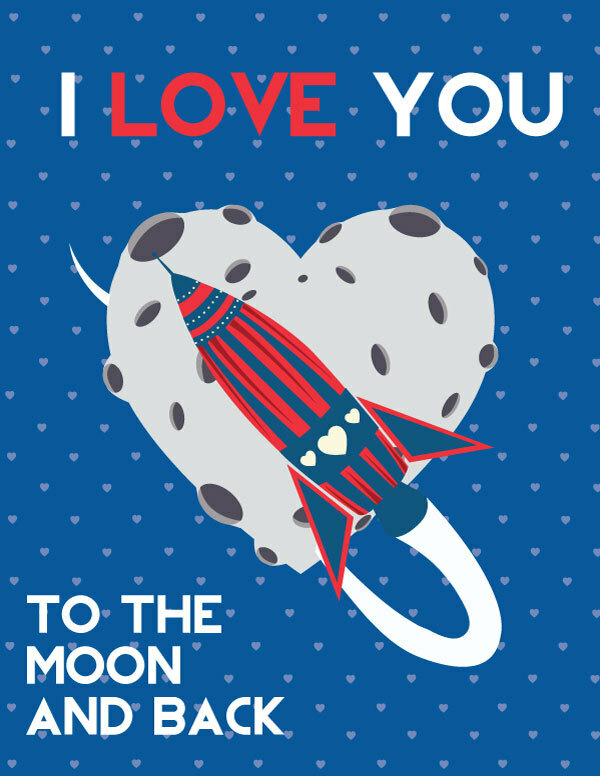 This particular little fella is one of only six of this valentines design! I love his huuuge eyes and soft plushie heart! There is even a little description about the monsters and where they live! It’s too cute for words. The listing states only one left though so hurry! It’s not a secret that I love cute things, nor is it a secret that I love space and science. This card is basically PERFECT! I love the retro feel to the graphics and the little heart touches everywhere! It’s pretty pricey shipping on this item but if it’s for the one you love, it’s worth it! It is designed and made by Emily Kuznar of Captain’s Print Co. She’s a graphic designer based in Minnesota some times and Wisconsin the rest of the time. Check out her other designs as there are loads that will appeal to pop culture fans! Now, these are advertised as a child’s valentine present but HELLO.. what about the big kid in all of us! Just imagine what a cute date you could have building a den and colouring in together! I love how seller Merrill of Ivy Lane Designs re-cycles old crayons to make them into something adorable and far more appealing. I’m a great fan of using everything up so as not to pollute this lovely planet so A+ for Merrill! She also makes notebooks re-cycled from packaging, record covers and paint charts, and little matchbox party favours! 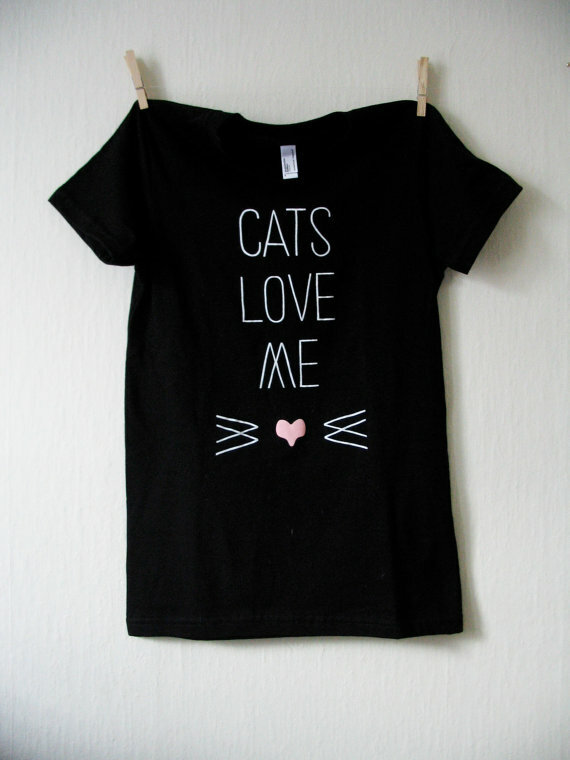 If you are destined to be a lonely cat lady this valentines (or even if you are not, and just love cats), why not embrace it and don this cute tee by Courtney Wyman of Wider Awake?! I love the simplicity of the typography and the sweet little whiskers and heart nose! Perfect for injecting a hint of subtle valentines into an outfit! It’s only £19.50 (again I included shipping for you guys), so there’s no real reason not to go for this beauty! Her other items are super simple but equally adorable, there’s more tees, cards and prints! Also, this would look cute with some skinny jeans and some kitty shoes from Em & Sprout!! Nobody seems to use handkerchiefs anymore, and that’s a real shame since there are so many adorable ones kicking around on Etsy right now! They are so useful.. as decoration tied around a bag handle, in your hair, poking out of a pocket, as a little table decoration under a bowl or plant and for blowing your nose with! 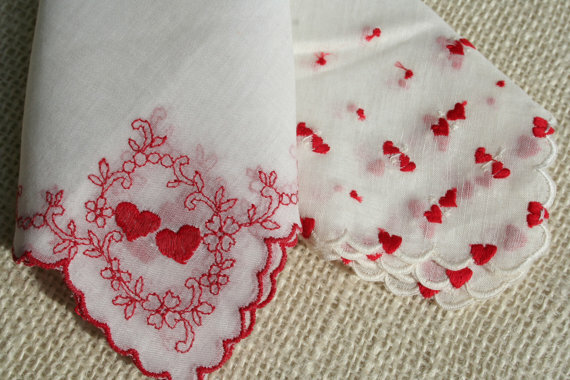 This set of two vintage valentines hankies is being sold by Pixie Dust Linens who have loads of amazing vintage textile items and clothing patterns in their Etsy shop! If you love the idea of giving a little hankie to a loved one do check out all of Etsy as there are literally HUNDREDS and HUNDREDS to choose from!